STEER CLEAR OF THESE 6 RETIREMENT MISTAKES THAT CAN THROW OFF YOUR PLAN TO RETIRE COMFORTABLY. We all hope that by carefully planning for retirement we will not have to worry about anything in the future. While making a plan does make you more comfortable and prepared, there are still ways that cause your retirement plan to derail. No one plans on getting a divorce, but life happens. Divorce is something that can have a lasting impact on your finances and subsequently on your quality of life. Even if divorce is amicable, legal fees can quickly spiral out of control in dividing the family assets. You probably saved money and made a retirement plan based on the assumption that there will be two people enjoying the family nest egg in the golden years. However, in divorce the savings will end up being divided among two households, which means less money for both of you. Marriage and Common-law partnerships needs to be looked after and time need to be spent nurturing the relationship and taking care of each other. Since at the end of the day it is both a romantic and a business relationship. This is one of many retirement mistakes you want to avoid! Having a house seems like a sure-fire way to make sure you have a way to finance your retirement. In theory, this seems like a great idea, but real life can be very different. Once you are accustomed to a certain life style, it can be almost impossible to downsize and downgrade. Plus, there are always cost that we usually don’t take into account when thinking of our homes as assets, such as, legal and real estate agent fees, land transfer tax and moving fees. Also, there is always the emotional connection we tend to have with our homes. Sometimes it is a very taxing and difficult decision to sell. It is easy to plan around retirement mistakes such as this by ensuring you look at the complete picture and keep in mind the extra costs you will incur when and if you get around to selling your home. This one is less of a retirement mistake and more of a retirement attitude issue. Retirement is supposed to be the golden years, the years that you get to enjoy in return for a life of hard work. Working in retirement should be the last resort, not the main plan. If you plan properly and save early, working in retirement should only be an option to keep yourself occupied and not a necessity. There are also other issues such as health to consider when thinking of working in retirement. No one knows what the future holds, but anything is possible. This is why planning now, so you don’t have to rely on working in your retirement is the smart thing to do. You might not want to, but the fact is that a majority of parents end up supporting their adult children late into life. This is due to various factors, some under the children’s control, some not, but the fact remains that there will be times when you adult children might lean on you financially. This support might come as guaranteeing loans, or providing cash for home purchase down payments, helping with wedding/divorce costs, or for grand children’s education bills. These are all things that need to be accounted for in your retirement plan. It is best to have an open and honest conversation with your children in terms of what you can and can’t do, and then stick to your guns. A study by the Society of Actuaries reported that there is a 58% chance that one or both people in the family could live to age 90. What that means is that retirement can last for 25 years. This is something that has to be taken into account when planning for retirement. Running out of money is a great fear that many Canadians have, and the best way to manage that risk is to ensure that your retirement plan accounts for long life expectancies. It is best to speak to your financial planner and go over exactly how your savings will fund your lifestyle in retirement and what options there are to make sure you don’t run out of money 10 years into retirement. There will be close to a trillion dollars being transferred between baby boomers and their kids in the coming decade. This seems like a very large number, but when you take into account the average inheritance size ($56,000) it starts to paint a clearer picture. Banking on an inheritance as a retirement plan not only irresponsible, it can also be downright dangerous. Life expectancies have increases dramatically in the past few decades and it is very likely that the boomers will end up using all the money currently saved to fund their now-longer retirements. The only way to avoid falling in the inheritance trap is to make sure you have a solid retirement plan and a financial advisor that you can trust. This plan will need to be tweaked to reflect your changing needs and wants. Discussion Question: Do you find yourself relying on any of the above retirement mistakes? What is your next step? And now what you have waited for, the $1000 giveaway. That’s It, getting the plan or using the find an advisor feature get you entered into the draw for $1000. The “Get My Free Plan” and “Find An Advisor” both come with a FREE NO-Obligation 30 minute consultation with a professional advisor. FreeRetirementPlan.ca has been able to negotiate this free consultation to ensure you have professional advice available to you if you need it. Only one entry allowed per user and per household. E-mail address will be verified for entry into the contest. In case the email is invalid or we are unable to reach you through your email for 48 hours after the draw, your entry will be invalidated and the draw will be held again. 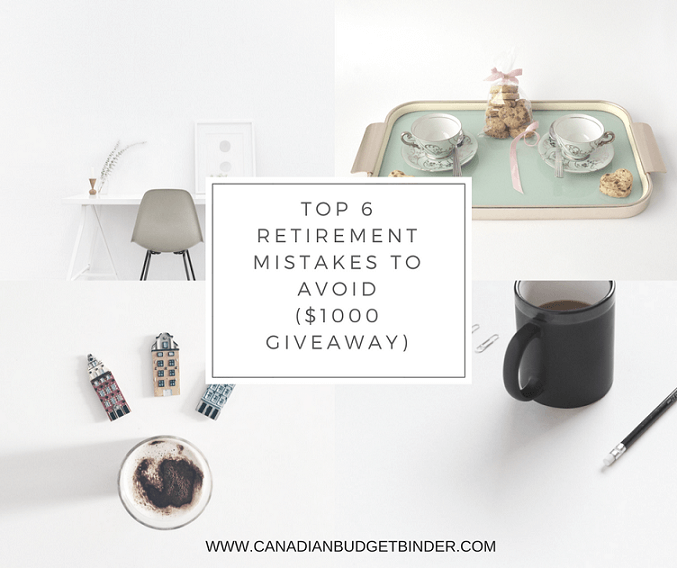 Post Contribution: Big thanks to Free Retirement Plan for sponsoring this post about retirement mistake plus the awesome giveaway today! Good Luck to those that enter. Shorts, winter jacket, boots, rain boots, hat, scarf, t-shirt… what’s the weather today honey? That’s pretty much my question these days with the weather warming up then snowing with a mix of rain. I’m back to working more hours again (don’t ask) but thankfully only for about 8 weeks then I’m slowing down for the summer months. With so much going on with holiday planning and stuff to renovate around the house I need to be home for my family. Our little guy still has a runny nose so this week we kept him home apart from a trip to the grocery store and one playdate with his buddies. We try to get him out of the house as much as possible and with Spring trying to break through he’ll be seeing more of the outdoors in the weeks to come. That’s our exciting week, how was yours? I am Sharoon, I have worked as a finance professional for over ten years, with a degree in Economics and Financial Management. 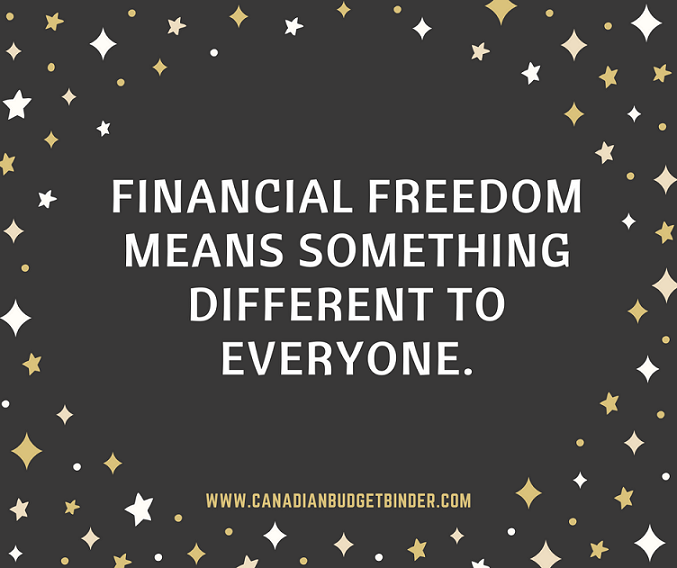 I started BudgetingTips.ca to share my passion for budgeting in my personal and professional life. While Budgeting Tips covers a range of topics on personal finance, the focus is on budgeting. I truly believe that budgeting is the key to achieving financial security. Fortunately, I don’t have a story about paying off huge debts. I think that is because of my knowledge of personal finance and budgeting helping me take control of my financial decisions. I hope to share my knowledge of personal finance through my blog and in the process, help others take control of their financial lives. I look forward to seeing you over at Budgeting Tips. A featured story gets you two ballots in the yearly draw for a PC Financial Gift Card and at least one ballot for emailing me your entry. Either way, you get a ballot in the draw. Here’s a special brag that I’d like to share with everyone today. 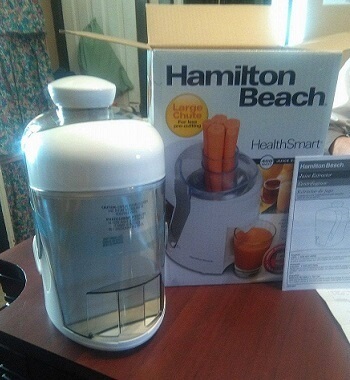 I purchased a Hamilton Beach juicer in brand new condition from Value Village for $7.99. It still had the plastic shipping tape and covering on it but had no manual. It is a Proctor Silex 2 speed so I went online to find a manual and found out it was recalled. I emailed them to see if I could just get a replacement part and manual from them and they said no. I was told to cut the cord and email them a pic of the machine with the cord cut. Then in the mail yesterday for Valentine’s Day I received a brand new juicer at no cost. Now that is great customer service. Just because you want a million dollar portfolio for your retirement years someone else may only need a small portion of that to feel financially free. You might pay your mortgage in full and fee free from financial worry where someone else feels free just from paying off consumer debt. We all react differently to money which means there is no wrong or right answer to wipe away financial stress, only you can do that. This week I ventured over to the blog, Money Prodigy where I read an interesting article about how the Amish manage their kids pay cheques. The Amish are very aware that handing over an entire paycheck to a 13-14 year old child would be stupid. They’ve essentially had to come up with, then hone, a foolproof way to deal with their child’s paycheck from an early age. There is no allowance given to Amish children. At what age did you start earning money and how was it managed? Mrs. CBB and I were going to work on some lemon squares this weekend for Easter until I noticed this recipe on Pinterest from Sarah over at The Sugar Apron. 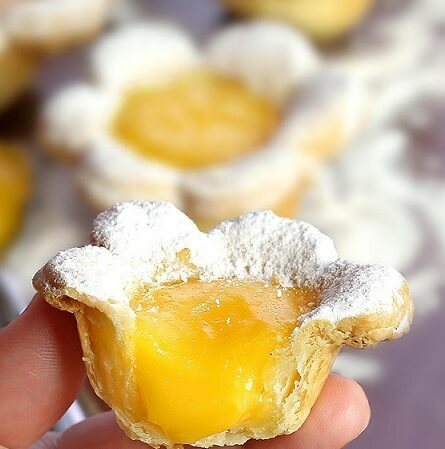 How cool are these Flower Shaped Mini Lemon Tarts. I’m going to try and almond flour shortbread base and sugar-free lemon curd or pie filling. 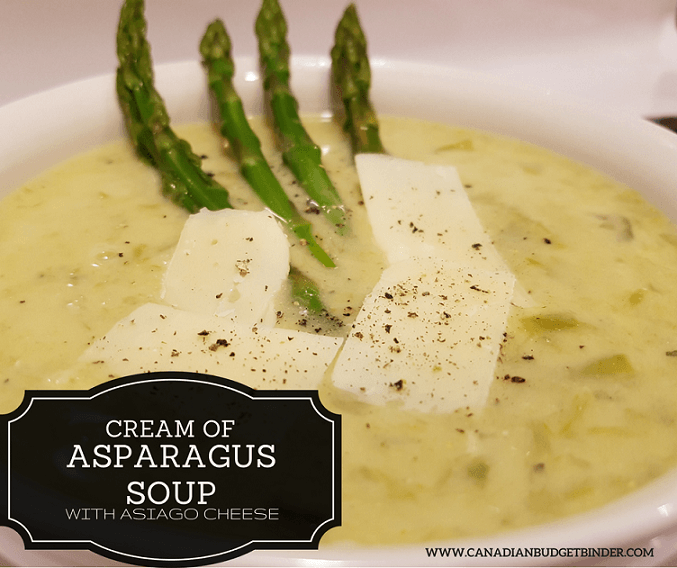 In the meantime this recipe is super easy to make from the sounds of it and would be perfect for Easter or any Spring outdoor garden parties. Why pay for ripped jeans to follow the latest trends when you can do it at home for cheap. 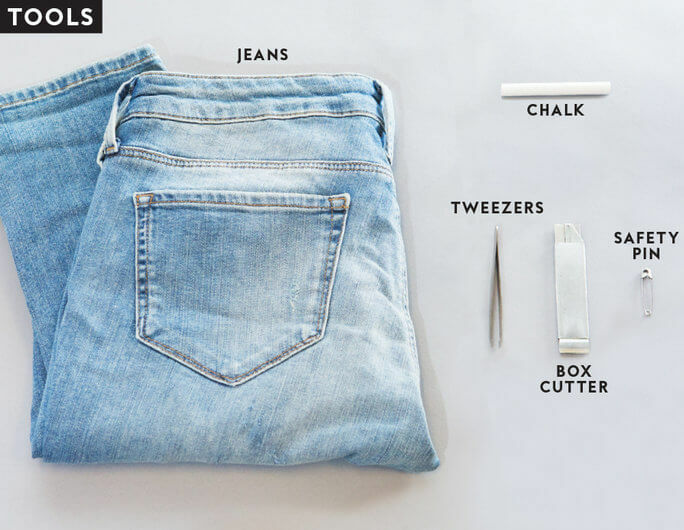 This is a great little tutorial on how to distress your jeans at home. Can you Clam U-File Tax Software?– Clam if you wanna clam! I do everything in the house how do I teach my husband a lesson?– Haha, this was scary and funny at the same time. How much to budget for interior design?– Skip it and save your money. Stock up on vintage pieces and second-hand deals and you’re house will look smashing. Pay yourself first. 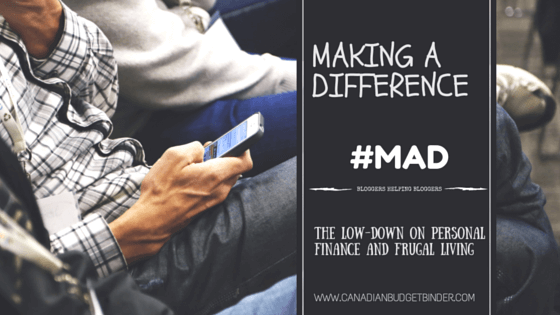 Budget position when there isn’t enough cash– A Screwed position comes to mind. Haha.. all joking aside then you must downsize your categories or your expenses. Perhaps earning a bit more money with a second-job or hobby with an income may help. Thanks so much for mentioning part of my article! I’m glad you got value from it. You’re welcome Amanda! I did.